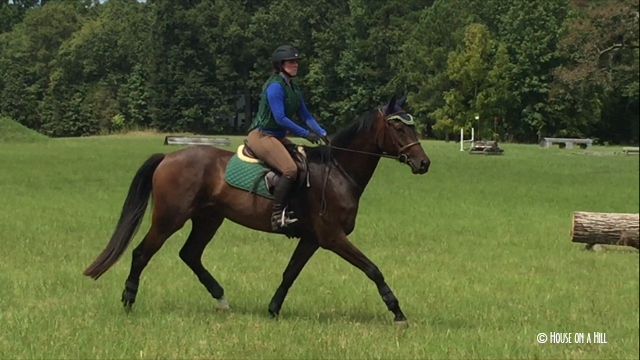 I’ve officially owned this tall drink of water for a month, and so it was time to get off property and introduce him formally to a proposed life in eventing. With the help of my friend A, we took a long afternoon with no time constraints to head to a local schooling venue. Smitty doesn’t appear to have loaded into a step-up trailer before, but after some honest coaxing we got him on and soon enough arrive at the venue. 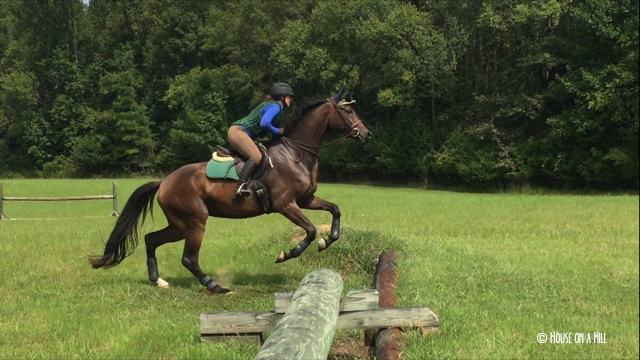 We got him off and I led him around the giant field scattered with cross country fences. With each one he would look at it, snort, touch it, and then immediately nosh on the surrounding grass. After a few minutes of this even a dilapidated pile of wood that once was a corner was no big deal to him. We tacked up (a two person job without crossties- such the wiggle worm!) and meandered around the field again. When nothing had changed, we went for a big trot and canter. A quick check on transitions and steering and it was time for some “real” cross-country stuff. The first was a baby ditch, more like a swale with a ground line. 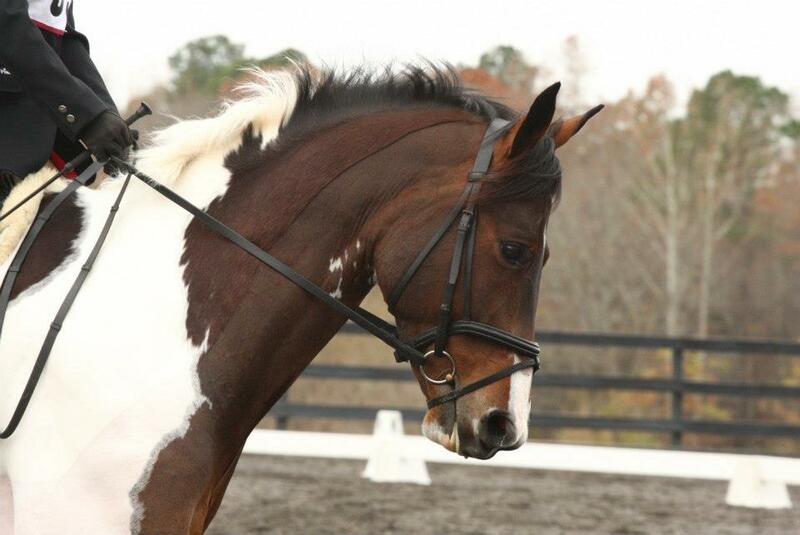 But for a baby eventing horse, it was the perfect introduction. 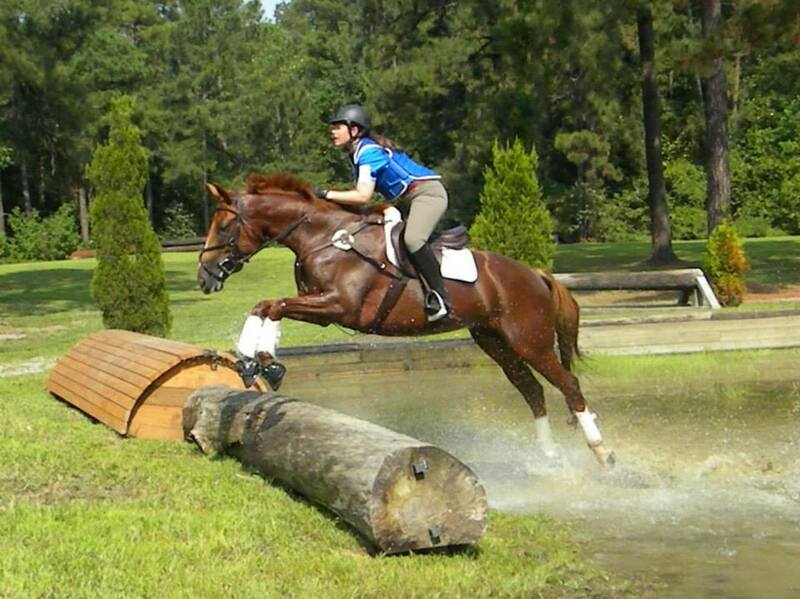 Walking and trotting over this proved to be no big deal, so we progressed onto eventing requirement numero dos- banks. The first attempt, he didn’t understand the question, but on the re-approach went up it like a champ. We trotted up it a couple times, then came back down it at a walk and trot. On landing, he happily cantered off without any drama. Next up was the bowl, which we used to show him terrain and how to balance himself going up and down the steep hills. Bar one moment of exuberance, this too was no big deal. Onto the water! The water was interesting, because in its current state it was obviously home to frogs and dragonflies and a crap ton of algae. It took some minutes to insist to Smitty that it was truly water, and not some kind of toxic sludge. But as soon as he stuck his nose in it you could see the light bulb go on, and he marched through and around it without looking back. In fact, he cracked me up because when we went to exit the water, he took it upon himself to leap out! To say I’m thrilled with our first adventure is an understatement. Smitty handled everything with as sensibly as a baby can, and really seemed to take to the idea of working out in the open. Now that I know that he can be such a good boy, I can’t help but think up all sorts of things that we can do next! 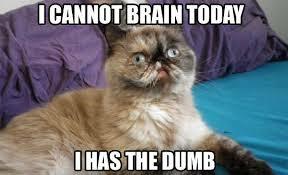 So, I am back in Raleigh again, for the time being at least. We did indeed make it to the dinner and reception of the wedding, which was really special! Then Sunday I was able to spend some quality time catching up with Foster, pulling his mane to an actually desirable length and getting him otherwise trimmed up. Then yesterday, thanks to warmer temps melting the snow, we were able to go school XC! I went down by myself (therefore no photos), as my original partner in crime’s horse came up dead lame 2 days prior, and had scheduled a lesson with a trainer I’ve never worked with before. I will admit there were some differences in communication, and I felt like a pretty big dummy at several times. I’ll further admit that I even got a little emotional, as I know I tend to do when I am feeling sick (which I was/am, fighting off a nasty cold and having stomach issues to boot). Soft, bent knees – no standing in the stirrups! While I was trying to learn/remember all of this, Foster was thankfully proving himself a mature, solid citizen. He warmed up really nicely, and took to the fences like he’d done it yesterday, not 3 months ago. There was no hesitation at all jumping the Novice questions. The two fences I was most concerned about, the jump over a log into water (he has only done a cross rail version of this), and the trakehner, were ridiculously easy. 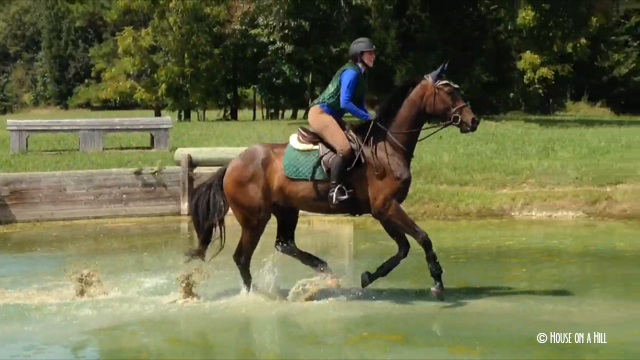 He attacked the water jump. Where I thought I’d be saying Go, I was saying WHOA! Definitely not going to be a problem, and it felt really great to see how confident he has become. 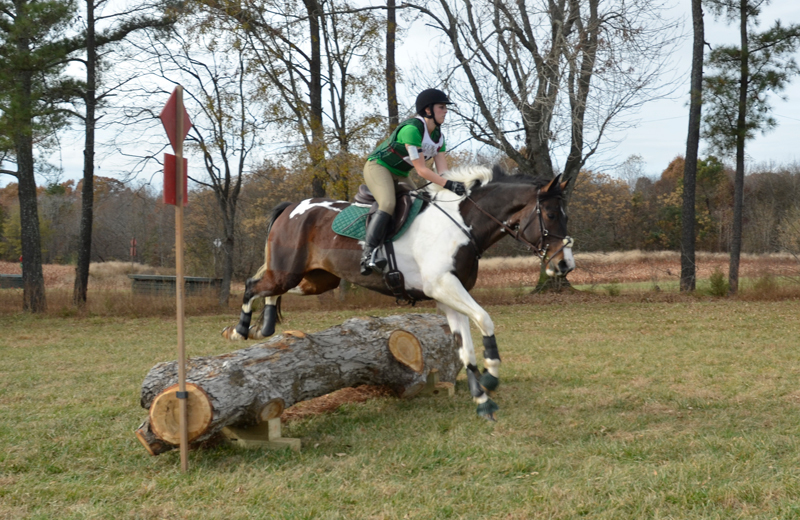 The trakehner was also excellent. This was a super friendly jump, where the ditch was not boxed in but still gave the impression of a taller fence and something to look at. There was still a bit of snow on the ground around the fence, so I was a little apprehensive that things might get slippy if he were to suddenly react. Once again, my fears were completely unfounded, and he went over it beautifully. If only I had a photo to prove it! Because he was so good, and surprisingly peppy even at the end of our schooling, I have committed to the show this weekend. I know we won’t be as prepared as I would like, but I think it will be a good first outing for him at the Novice level. The course will be maxed out technically speaking (there will be a half coffin, bank to pheasant feeder, terrain questions, and of course the water jump), but it won’t be maxed out with height and width. Tonight Foster is going to get an easy stretchy ride and we will prepare as much as possible for a crazy week! Get excited!